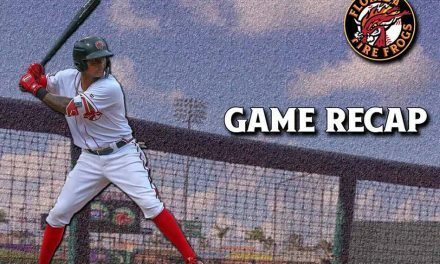 The Florida Fire Frogs fell short of their second series sweep of the second half by falling to the Clearwater Threshers in the finale of the three-game weekend set at Osceola County Stadium on Sunday. Kyle Muller struck out five of the first seven batters he faced before running into trouble in the third inning. 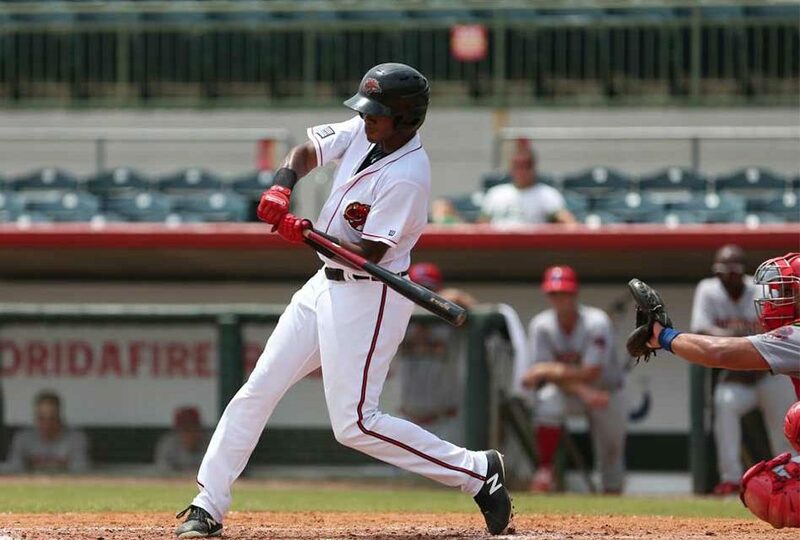 The 20-year-old walked Granny Cumana to start the frame, and had Kevin Markhamreach first on an infield single to put two runners on in front of Jose Gomez’s sacrifice bunt. Muller then allowed a three-run home run to Mickey Moniak to put Florida (12-12, 41-49) behind by three. 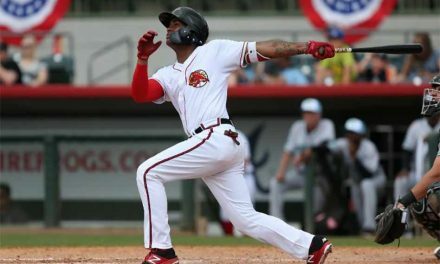 The Fire Frogs scratched across two runs in the fourth to pull within a run. Riley Delgado (1×2, R, 2 BB) lead off the frame with a single, and came around to score on Jared James’ (2×4, 2 R, 2B, RBI) double to the gap in right-center. Three batters later, Isranel Wilson (1×2, 2B, 2 RBI, BB) drove home his first run of the game with a triple off the wall in right. Wilson knotted the game at three apiece with a sacrifice fly in the sixth inning against Alberto Tirado (1-0), plating James for the tying run. Josh Graham was called out of the bullpen to start the seventh, but the product of Oregon surrendered an RBI single to Gomez after a one-out triple by Markham. Chase Johnson-Mullins could not find an answer against the same duo, allowing back-to-back, two-out singles in the ninth to push across the fifth run of the game for Clearwater (12-11, 44-47). Jakob Hernandez (SV, 1) earned his first save as a Thresher in 2018, giving up just one hit and walking two over the final two frames. Florida heads to road for a six-game trip starting with a three-game series against the Dunedin Blue Jays at Dunedin Stadium beginning Monday night. RHP Jeremy Walker (2-9, 4.75) takes the mound for the Fire Frogs in game one, while it is yet to be announced who will oppose the right-hander for the Blue Jays. First pitch is schedule for 6:30 p.m., with coverage starting at 6:15 p.m. on the Florida Fire Frogs Broadcasting Network. 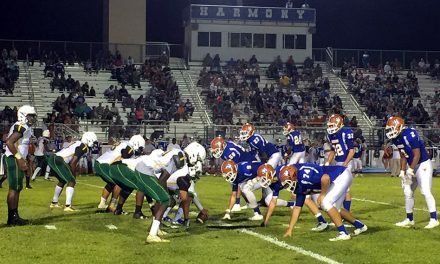 The Harmony Longhorns and Liberty Chargers Battled On Saturday Night After Hurricane Irma Delay!